We recently traveled to Dallas for a few days to spend some time with friends. Now that we’re back home, we joke that we ate and drank our way through the city and a few suburbs. According to the scale, this is not altogether untrue. Of course, we stayed at a hotel, which meant eating at various restaurants during our stay. When we travel, we make an effort to partake at local establishments. If we do go to what would be considered a “chain” restaurant, we make sure it’s not one that we can go to where we live in New Hampshire. Likewise, when we lived in Dallas and made our northward treks, we also chose local fare. We don’t make a “no chains” choice because we’re against the large, corporate food organizations. We simply like to experience something we don’t have the opportunity to have when we are at home. And, it feels good to support small business owners. As it turns out, we are not alone in our quest to experience something new and different on our travels. 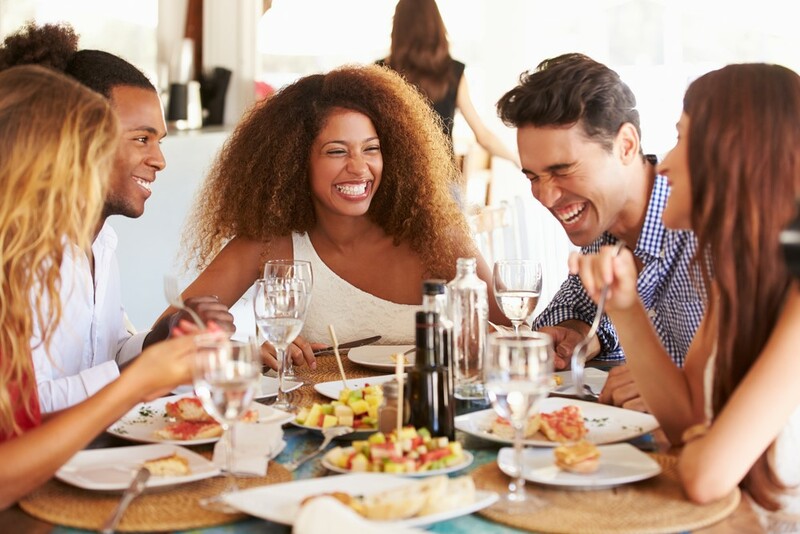 According to AAA, 75 percent of Americans consider their dining experience an integral part of their travel experience as a whole. So much so, in fact, that some have started planning culinary-inspired vacations that include winery and/or brewery tours, cooking classes with local chefs and more. Trips to Italy, France and Greece are just as much about the local cuisine as they are about history, architecture and sightseeing. “There is no better way to learn about a destination and immerse yourself in the local culture than by experiencing its unique food and dining customs,” said Bryan Shilling, AAA managing director of Travel Products and Services. This may take the term “foodie” to a whole new level. To be clear, I would not label my husband and me “foodies.” First, I’m not a big fan of labels. Second, my husband is more of a meat-and-potatoes/comfort-food kind of guy (as evidenced by the fact that his favorite meal on our entire trip was spaghetti pizza). While I tend to be a little more adventurous, I’m not likely to try any variety of fried or chocolate-covered bug. And since we’re going there, reptiles of any sort are probably on the “no” list for me as well. Just sayin’.